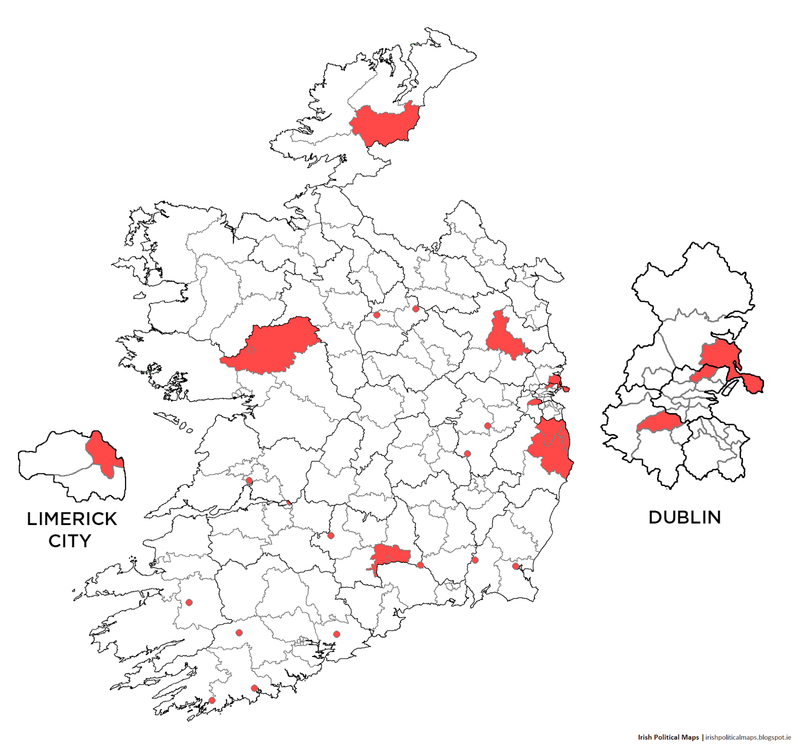 Irish Political Maps was set up in May 2011 as a resource for anyone with an interest in Irish politics and elections. 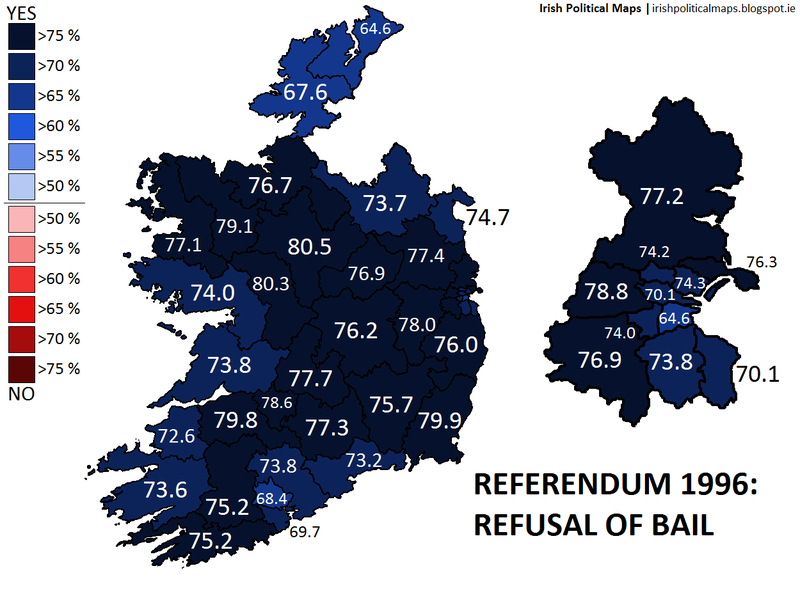 Whether you're a seasoned expert or are just learning about Irish politics, this site's purpose is to provide information about the outcomes of every election and referendum to take place on this island. designed to complement the information contained in the maps. of relaxing the Cabinet's right to confidentiality when legal investigations require it. It was supported by all of the major parties of the time. 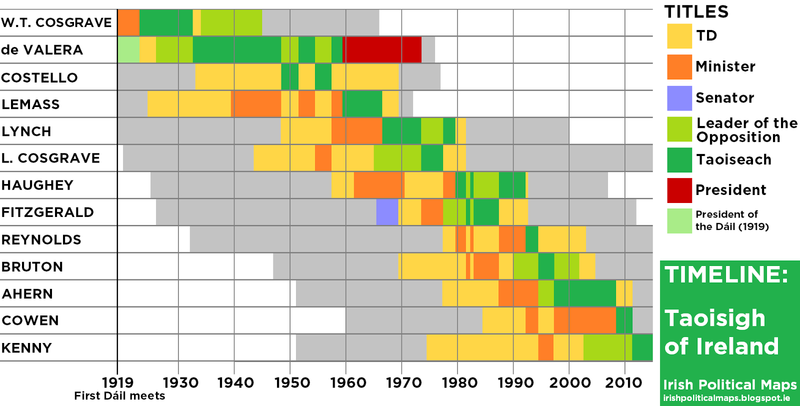 How many Labour councillors have left the party since it went into Government in 2011? 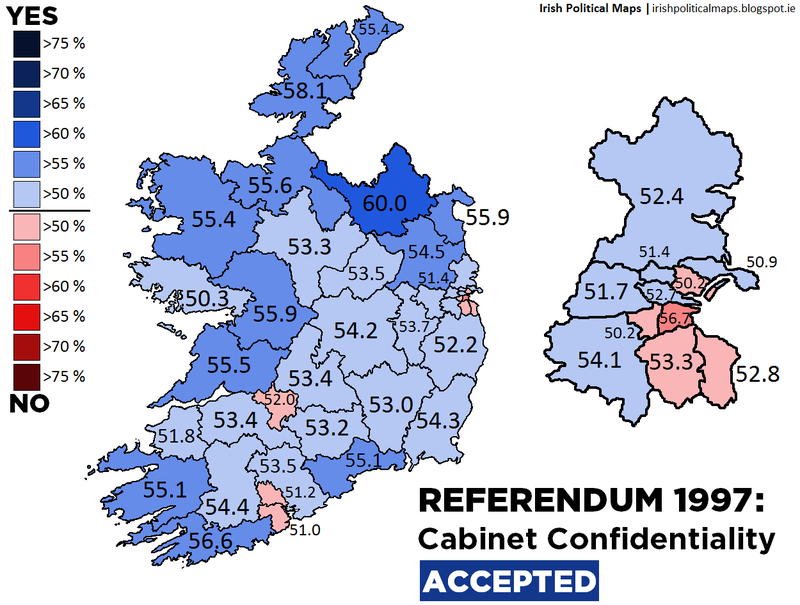 Thisis the first of a series of maps showcasing various aspects of local government and Irish European Parliament representations in the lead-up to the 2014 local and European elections. The 1996 Refusal of Bail referendum was an uncontroversial affair which saw John Bruton's Fine Gael/Labour coalition win an easy victory on an issue the "law and order party" counted as part of its ongoing measures against crime in Ireland. There are now State of the Parties pages for the Northern Ireland Assembly and Northern Ireland's UK House of Commons seats. 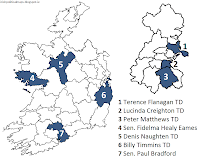 The Reform Alliance are a new political movement made up of expelled Fine Gael members which may or may not become a new political party. Are any of your representatives members? Patrick Nulty, the independent former Labour TD from Dublin West, suddenly resigned his seat on 22 March. He was elected in a by-election to fill the vacancy left by the late Brian Lenihan's death in 2011. The UUP has suffered from defections, while Sinn Féin has moved to end double-jobbing. What will NI21 and UKIP mean for the Assembly? Two by-elections see the numbers stay the same.